What will a Geriatric Care Manager do for me and my family? Getting professional guidance from our experienced geriatric care manager, our physician, nurses, and certified home health care staff will give you the ability to make educated decisions about what to do next. 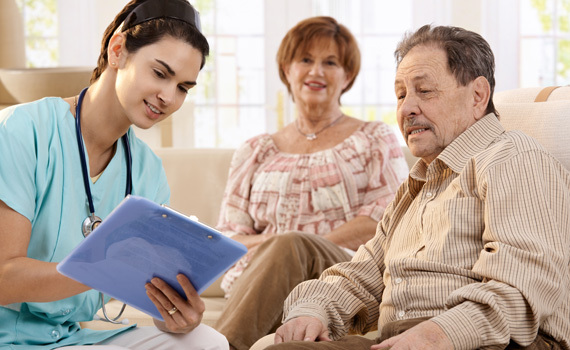 This will assure that your loved one gets the best care possible while making the most of your personal resources. We are very familiar with how insurance policies work. We know all about Medicare and Medicaid coverage. Most people miss out on the benefits they qualify for because they simply don’t understand the terms used and how benefits apply to their care. We have had years of experience and will help you avoid common mistakes that cost people money, waste precious time and cause so much distress. We can help you find professionals you can trust. If your needs go beyond our scope of care, we will share our knowledge of area resources and trusted referrals with you. Let us help you find the best professional for the job you need done including such things as finding a podiatrist or beautician who makes house calls, someone to handle light house maintenance chores, etc. There is a peace of mind that comes with knowing that you have done all you can to financially manage your assets, organize estate matters and plan responsibly for the future. We will help you find financial planners and attorneys in your community who specialize in elder care. With professional advice, you have the opportunity to learn about such essentials as living wills, estate planning, and related matters. Learn more about how we help aging adults and their families.